REVIEWS embedded below. After last year's wonderful journey through Stravinsky, with Esa-Pekka Salonen and the Philharmonia Orchestra, Vladimir Jurowski and the London Philharmonic Orchestra embark on another Stravinsky saga at the Royal Festival Hall. Salonen and the Philhrmonia focused on Stravinsky in different phases of his career. Some brilliantly perceptive programmes - please read more HERE, HERE, and HERE. In this new series with Jurowski and the LPO, well-known Stravinsky pieces are heard with the music of other composers, some Russian, some with relatively little obvious conections, and not all concerts feature Jurowski. Not quite as musically challenging, but lots of fun, nevertheless. Friday 23rd February - Once Upon a Time - Stravinsky The Song of the Nightingale, Elgar Cello Concerto, Rimsky-Korsakov Scheherazade. 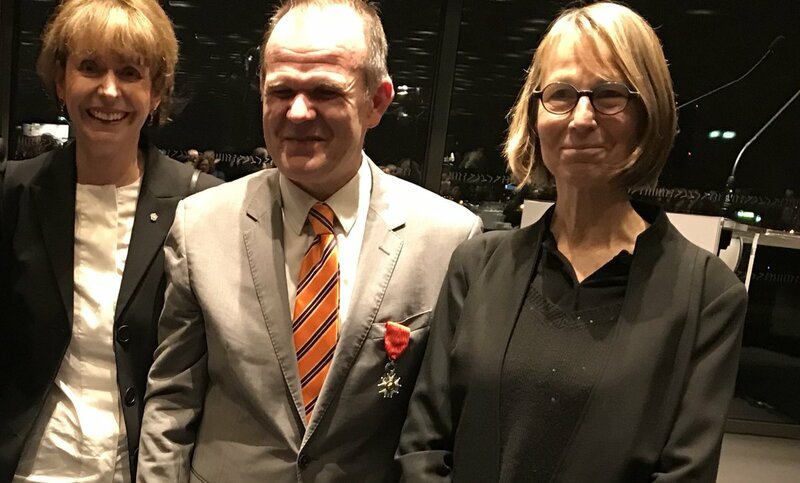 François-Xavier Roth was today awarded the Legion d'Honneur for his services to culture. Congratulations, and well deserved cheers ! Yesterday afternoon, he conducted another brilliantly eclectic programme with Les Siècles, at the Philharmonie de Paris screened live, bringing out the connections between Javanese gamelan, Debussy and Pierre Boulez. Unusual, but extremely rewarding, so please make time to listen (archived on arte.tv and also on the Philharmonie de Paris website) because this concert has been put together with insight and great musical understanding. The roots of modern music lie deep in the past, and in forms beyond the western European core. 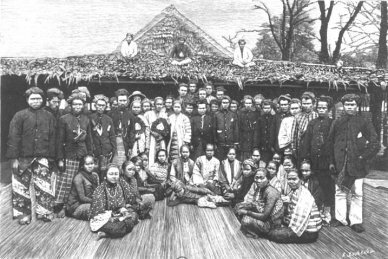 The photo at right shows some of the Javanese dancers who appeared at the Exposition Universelle of 1889, a world's fair celebrating modern progress. Europe was looking outwards, inspired by exotic, alien cultures.. A "new" baroque age, in many ways, full of confidence and adventure. France, Belgium and the Netherlands had colonies in Asia and Africa, and while they weren't any better as rulers than some, they were genuinely fascinated by the diversity and richness of the cultures they encountered. Debussy visited the Indonesian pavilion, which featured large replica village, so authentic that the buildings were constructed by genuine Javanese builders, using materials they brought with them. For entertainment, there was a large gamelan orchestra, and troupes of dancers, not only Javanese but Balinese and Sumatran. Debussy responded to their music as a musician would, not for the exoticism so much as for the ideas on pitch, intervals and structure. And so this concert at the Philharmonie began with the Ensemble de Gamelan Sekar-Wangi, sounds building up so gradually that some in the audience didn't realize the show had started. Unlike western music, a lot of Asian music is ambient sound, part of ordinary life, so you listen in different ways. This performance included two singers, their lines weaving semi independently of the orchestral line, creating multiple layers of sound. Gamelan performance is intuitive and semi-improvised, the performers adapting to one another. The music moves as if in procession, the different components, co-operating, changes marked by gradual, mutually agreed changes of direction. Think ricefields, terraced up sloping hills, teeming with water, bugs and fish, harvested and re-irrigated. a lot of Asian music has spiritual and ritual connections, so this awareness of space does matter. Eventually, like Debussy, Messiaen and Benjamin Britten would respond to Asian music in their own terms. One day I hope Roth will conduct Britten's Prince of the Pagodas. That's a piece that really cries out for someone who understands how the music works, and why. Please read my analysis of it HERE. In 1950's Britain, it was misunderstood, not helped by awkward choreography. Some years ago there was a much better Japanese production, but its full potential has yet to be tapped. Go for it, François-Xavier Roth and Les Siècles, and use modern dance. The time for a really good Prince of the Pagodas has come ! With the last echoes of the gamelan began Boulez Rituel in memoriam Bruno Maderna, the artillery of orchestral gongs taking up from the gongs of the gamelan and the beaten metal bonang. Boulez writes for eight unequal instrumental groups, moving at different paces and in rhythms, just as mourners follow a cortege, seemingly disparate but with common purpose. In the Philharmonie, the differences are emphasized by having the groups playing in different positions around the main stage. Wooden, beaten percussion - shades of the gamelan xylophone - functions like a heartbeat, often harshly hollow. Sudden interruptions, flurries, changes and pauses that feel organic, like a brave heart that's failing but rallying despite the odds. Brass and wind chords blare, radiating out into space, as if exploring distance and searching the unknown. The piece is a funeral march, of course, but also serves to structure time and its inevitable passing. Thus the small trickling sounds, tick, tick, tick against the strong brass crescendi. Cymbal crashes echo, the winds and brass wail, once more, in unison, the sounds lingering after the act of playing has ceased. which is part of mreaning - Maderna is dead, but not forgotten, and neither, now is Boulez. After Boulez, Debussy Three Nocturnes and La Mer, again connecting old and new. 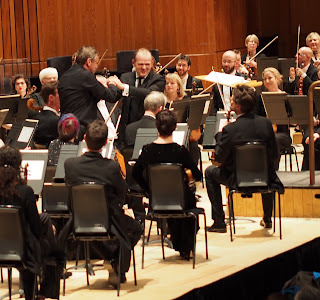 Last Thursday Roth conducted the Nocturnes at the Barbican, London, with the London Symphony Orchestra. Please read what I wrote about that, and its modernism, here. With Les Siècles and Les Cris de Paris at the Philharmonie de Paris, the Nocturnes sounded even more refined and sophisticated, sensitive as this orchestra is to the finest nuances of timbre. a very different sound, but exquisite. My imagination blossomed, thinking back to Asia and dreams of new horizons. Two very different Nocturnes in four days - what a treat ! Roth will be conducting La Mer with the LSO in a few weeks. He's done it numerous times but it never hurts to hear it again, and again. For an encore the fanfare that concludes Debussy's Première Suite d'Orchestre premiered in its new performing edition by Les Siècles in 2012. Please read about that HERE. For sure I would have loved to have gone to Vladimir Jurowski's Wagner Das Rheingold at the Royal Festival Hall with the LPO. Very good cast, good orchestra and a conductor who's done quite a bit of Wagner in chunks over the years. When I used to go out five times plus a week, I'd have been there in a flash. I drooled over the tickets as late as December when there were good seats available for £60, but instead booked the whole Debussy series (MORE HERE) at the Barbican (and a few other pricey things coming up soon). No way was I spending £300 plus for an unstaged performance ! I'm not bothered about signed programmes and/or dinner with the stars. Been there, done that, for free. Fortunately, most of my friends went, which was good. So what I did instead last night was to listen again to the Jaap Van Zweden Rheingold in Hong Kong in 2015. Last week Van Zweden conducted Götterdämmerung in Hong Kong, which a lot of my friends there attended too, and loved. How lucky I am to have an international network ! The Hong Kong Ring is pretty good, easily equal to many other Rings, and much better than some. Recommended ! The Rheingold cast was upmarket, and included stars like Michelle DeYoung (also in last week's Götterdämmerung ), Matthias Goerne, Kwangchul Youn, Oleksander Pushniak, Eri Nakamura, Stephen Milling and others (link here) And the Hong Kong Philharmonic Orchestra is pretty impressive. Decades ago I did backstage support for them - wow, am I ever proud. For Hong Kong, this Ring was a coming-of-age statement. The city sits on the edge of a massive hinterland, its potential market not only China but the world. In Asia, people don't sneer at classical music for being elitist. They see it as aspirational : the sign of cultivated minds and souls. In the west, people don't realize how advanced the Asian market really is, and how long it's been active. I would have enjoyed Jurowski's Rheingold in London but van Zweden's Rheingold in Hong Kong was more than compensation. "Essential" Debussy, a tag with a snag, because the programme wasn't cliché "greatest hits" for those who think instant thrills are all that count, but "essential" in the sense of The Essence of Debussy, a much deeper concept, because it examines what makes Debussy so special. 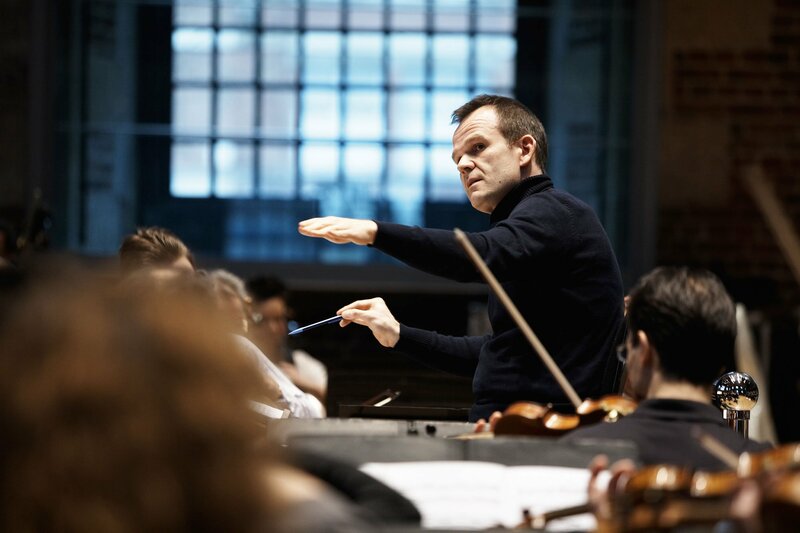 With François-Xavier Roth conducting the London Symphony Orchestra at the Barbican, London, you expect, and get, the wisdom that comes from deeper experience. This concert was the second of three and a half examining Debussy in terms of his influences and the influence he had on modern music. A bit more than quick fix "essential"but essential nevertheless. Please read HERE for my piece on Young Debussy and the roots of French modernism. Definitely one of Debussy's "greatest hits" Prélude à l'après-midi d'un faune led into a programme of other Debussy milestones, including Nocturnes , without which we might not have La Mer, and Jeux from 1913, so innovative that it's a pillar of 20th century music - very much "essential" though not as ubiquitous as a "greatest hit". Other correspondences too within the programme making more subtle connections. Prélude à l'après-midi d'un faune broke new ground in 1889. Mallarmé used symbolism to express emotions perhaps too tricky to be openly expressed. Modern, yet also in the tradition of allegory that goes back to the Greeks. The flute itself is symbolic, suggesting ancient Arcadia, where the rules of modern society do not apply. Like the fawn, a creature of the wild who cannot be tamed, the flute line moves and turns in explicit sensuality. The fawn is responding to deep instinctive urges, which may be not be satisfied. In Vienna, Freud had yet to formulate his ideas on dreams and the subconscious. In the French-speaking world, the symbolists (as early as Baudelaire) were already there. The LSO provided a luxuriant background, lush strings and resonant winds enfolding the clear, piping purity of the flute. In this performance, the horns were also heard clearly muffled, as if in the distance, but an important reminder that the fawn is an animal which will be hunted down and killed. Prélude à l'après-midi d'un faune is not at all "romantic" Roth brings out the sexual danger beneath the exotic surface. 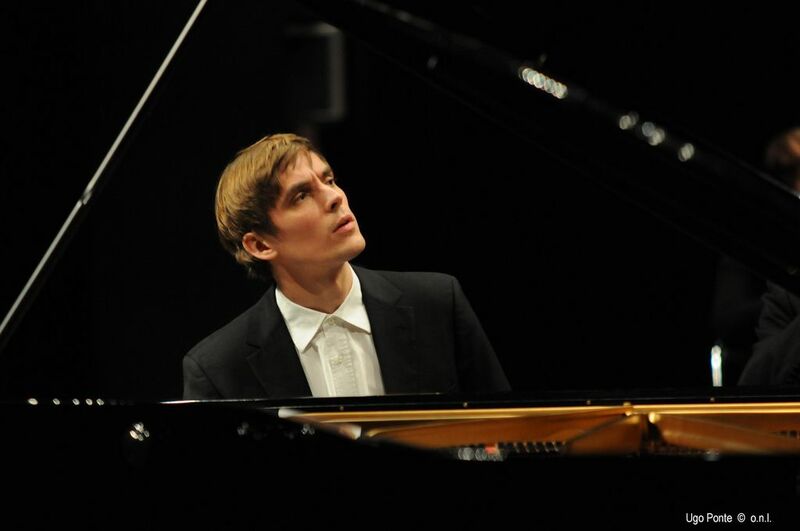 Thus to Debussy's Fantasie for Piano and Orchestra (1889-90) with Cédric Tiberghien, a good choice as companion piece. Here, the piano is the fawn, its notes sparkling against the murkier shadows inn the music. Gradually the piano grows more vigorous and more imaginative. Darker, quirkier winds (bassoon, oboes, clarinets) and percussion threaten to close in, but the piano breaks free. In the middle movement, marked lento, the piano holds forth expressively. Tiberghein shows how intellect does not exclude emotion. On the contrary, the technical excellence of his playing intensifies feeling, adding sincerity and depth. Like the fawn, the music enters a kind of clearing, then finds new direction, the music of the first movement adapted in the last with confidence and sophistication. Hearing Roth and the LSO in Debussy Jeux brought back memories of Boulez, conducting it on his 80th birthday celebration, also at the Barbican, but with the BBC SO. Obviously different times and orchestras, but that indicates how good Roth is in this repertoire. In Jeux the game is, ostensibly, tennis. Or is it ? Two young people are fooling around, but suddenly a ball is thrown onto the court, changing the game. Strange, quivering chords, suggesting tension. Rays of brightness, throwing the darkness into menacing contrast. In musical terms, this means constant flow between points, patterns crossing and recrossing, staccato contrasting with freewheeling liveliness. Like Boulez, Roth marks the sense of "listening". The players on this court have to be alert and reespond. Perhaps the wild, tantalizing line represents the mysterious ball. Whatever, it has energy and purpose, unlike the players when they came onto court. At last a blaze of horns and rising energy in the music. Are they players being "illuminated" ? Suddenly, tantalizingly the music ends. Instead of closure in the conventional symphonic sense we're left to think for ourselves. I love Jeux because it's open ended. There may be dangers ahead, the understated wit in the piece suggests adventure, not doom. Although Roth and the LSO will be doing perhaps Debussy's greatest orchestral hit of all, La Mer, next month, they presented the Three Nocturnes (1899) which in many ways is its predecessor. Heard together in one concert, they could be overwhelming, so we're better off focusing one at a time for maximum value. In the Nocturnes, Debussy seems to illustrate a seascape. The movements have programmatic titles - Nuages, Fêtes, Sirènes - but as always, good music is more than literal depiction. Waves keep changing shape and position, thus the concept of constant change, figures moving and shifting in myriad ways. Impressionist painters depicted light and movement by single brushstrokes, emphasizing clarity over mass. Thus the origins of "impressionism" in music, and the search for musical expression beyond the constraints of conventional tonality. In an ocean, motion is controlled by invisible forces, like tides and wind. Thus the concept of musical form which might suggest undercurrents and ideas behind surface appearance. Roth and the LSO shape the first two Nocturnes emphasizing the intricate detail beneath the broad sweep, for these details are like the "brushstrokes" in painting. But it is in the third Nocturne, Sirènes, where Debussy breaks in even more innovative form. The women of the London Symphony Chorus, led by Simon Halsey, vocalize, singing abstract sound instead of words. Sounds as beautiful as these create their own meaning, just as the instruments in an orchestra sing without words. The shifting patterns, nuances and tones create the concept of a horizon that keeps moving and changing, with infinite variety. From these wonderful cross-currents and multiple textures, the borders of strict tonality are beginning to fade. London Sinfonietta - Happy 50th Birthday ! The London Sinfonietta celebrated its 50th anniversary at the Royal Festival Hall, London. The idealistic visionaries of the past may be older now, but age hasn't dimmed their spirit. David Atherton conducted, as did George Benjamin : two long-term stalwarts without whom the London Sinfonietta might not be what it is now. 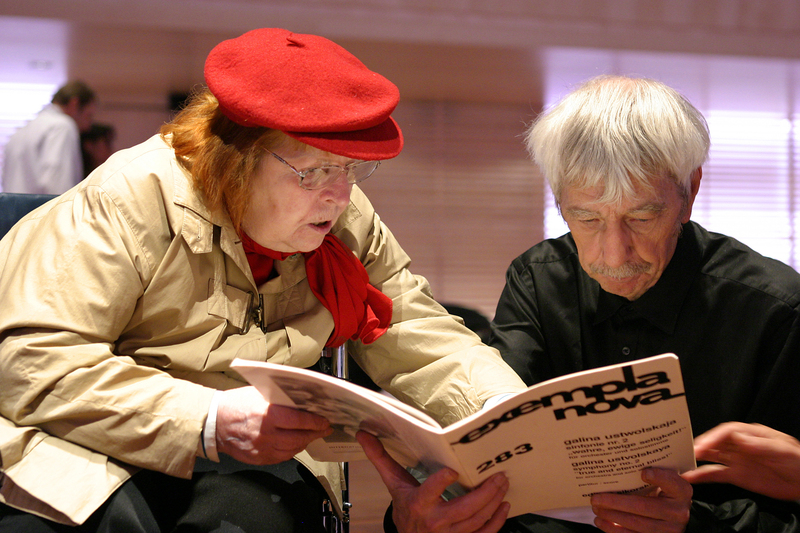 The London Sinfonietta changed things, re-shaping music in Britain and beyond. May that legacy never be squandered ! In fifty years, new generations have come to new music, and new music itself has grown and flourished. Was that The Message Sir Harrison Birtwistle alluded to in his fanfare commissioned for this birthday gala ? The piece shines brightly, indeed defiantly, sounds reaching outwards into space. Harry once relished the image of enfant terrible, and indeed, still does, with his earthy common sense. Now he is, arguably, Britain's greatest living composer and long may he reign. He's a true original, and a trailblazer. instruction, 'hammering like a madman', and the trombone has a strident melody bursting from the delicate sound textures. Over the years, the personnel have changed. I remember Enno Senft looking like a teenager and John Constable before his hair turned grey. And Sebastian Bell on a bench outside LSO St Lukes, eating lunch, a short while before he died. And when Melinda Maxwell commissioned new work in honour of her mother. I've also heard David Atherton conducting in Hong Kong. So many memories, the London Sinfonietta feels like family. That sense of community lives on. While the ensemble has, in recent years, diverted a lot of effort towards activities other than core music making, it continues to sponsor new work , new composers and new performers. Tonight, Deborah Pritchard's River Above for solo saxophone, (Simon Haram), and Samantha Fernando Formations a promising work I like a lot - listen again on BBC Radio 3 A special thank you to Deborah Pritchard for her innovative diagrams analysing pieces of music. These are truly innovative. As I write, I've got her study of Birtwistle's Silbury Air in front of me. You can "hear" the music by following her maps, each part marked as on a score but condensed in colours and patterns, intuitively. conventional western notation isn't the only way to read music. A quick and easy way to communicate with creative minds without formality - this is the way to grow audiences and reach people who might be intimidated by the idea that new music is too difficult. More effective, I think, than some tedious "education" ventures. written for Paul Wittgenstein who lost his right hand in war.. Perhaps it carries the memory of a lost limb, as often happens to amputees. Abrahamsen's piece feels, however, like an exploration of something entirely imagined. Left, Alone moves through a series of six vistas, dark rumblings on the lower keys to bright outbursts in the orchestra. Single notes on percussion blocks tempt the piano forth. At first the piano sounds tentative, as if exploring space. A surge of strings from the orchestra, then a long passage of semi-silence. In fact there are several, passages of semi-silence, each one different, so you have to pay attention. Eventually the piano finds its voice, stabbing exuberantly at the keys, the whole orchestra animated in support. Having thus found itself, the piano can return to quietude. Single notes are played, repeatedly. A huge arc of sound from the orchestra, a frenzy of sparkling notes: piano, percussion, winds and strings together. The pace intensifies, bubbling along cheerfully. Not having a right hand is not funny, but the protagonist triumphs, nonetheless. I first heard this in 2016 with Alexandre Tharaud and the CBSO. Stefanovich was more assertive while Tharaud was more probing. The grand finale - Encore! (14 Variations on a Hornpipe by Purcell). A communal blast, with room for everyone. In Munich, the Bayerische Staatsoper struck gold with its current revival of the Ring, with an astonishingly good cast in this Die Walküre - Nina Stemme, Anja Kampe, Ekaterina Gubanova, Simon O'Neill, Ain Anger and John Lundgren, and Kirill Petrenko conducting with more intensity than ever before. A good cast of Valkyries, too, some of them significant names in their own right - Daniela Köhler, Karen Foster, Anna Gabler, Michaela Selinger, Helena Zubanovich, Jennifer Johnston, Okka von Damerau and Rachael Wilson. Wonderful singing, and playing, so delicious that you savour every moment. The unique character of O'Neill's voice expresses Siegmund’s tortured soul with psychological insight - extraordinarily moving. Kampe (O’Neill’s other half) interacted well with him, the pair clearly "twins" with old souls, in contrast Anger’s virile Hunding. Anger sings gloriously, and sounds fresh and full of vigour. But we know what is about to happen. Stemme is a striking Walküre Brünnhilde. The part is very different to Brünnhilde in Siegfried and in Götterdämmerung, so relies on more subtlety, which is Stemme's forte. Lundren is a powerful Wotan. In the saga of the Ring, he, too, eventually gets sidelined and morally upstaged by his daughter, but for now, like Anger’s Hunding, he's very much a potent force , which makes the interpretation tragic. Musically, this Die Walküre is ace, but anyone can write about that, so I'll write about the interrelationship between music and ideas. This Munich Die Walküre proved the value of the production by Andreas Kriegenburg. An uncluttered, unfussy staging throws focus on the drama, extending the depth of the music, connecting what we see to what we hear. Staging is a lot more than mere decorative effect. Dramaturgy connects drama to its wider cultural context. In Wagner's time, that context was taken for granted. Unfortunately these days some audiences expect opera to be as non-demanding as TV — which is a travesty. Wagner without intellect isn't Wagner. Superb dramaturgy, by Marion Tiedke and Miron Hakenbeck which addressed Wagner's ideas on society and human interaction. Siegmund battles through a storm. The storm is psychic, not just physical : effectively he's been battling turbulent forces since childhood, forces beyond the realm of Nature. Here we see the "storm" in human terms - anonymous warriors pushing Siegmund to and fro until he breaks free. Hunding's home seems a haven, yet the World Ash Tree grows in its midst. No building can stand long when a tree this size takes root, nurtured from sources deep in the earth. The tree doesn't sing but its presence dominates the drama. So what does it symbolize ? Hunding is a bully who controls the people around him. In these designs, by Harald B. Thor, the World Ash Tree resembles the Hanging Tree (1633) by Jacques Callot, that famous symbol of war and mass destruction. As we look closely, we can see the bodies of warriors hanging from its branches. Who is Hunding ? Is he a small time, small, scale Wotan ? Sieglinde (Anja Kampe) stands out from her anonymous handmaidens, but who are they ? Later, we see the Valkyries, identical and conformist. On the battlefield, scattered with bodies of dead warriors, an orgiastic dance suggests primeval ritual. Quite a lot of good ensemble movement in this production, choreographed by Zenta Haerter. The Valkyries' horses are invisible, like the supernatural forces of the storm. Although they pull the reins, the Valkyries are not free. 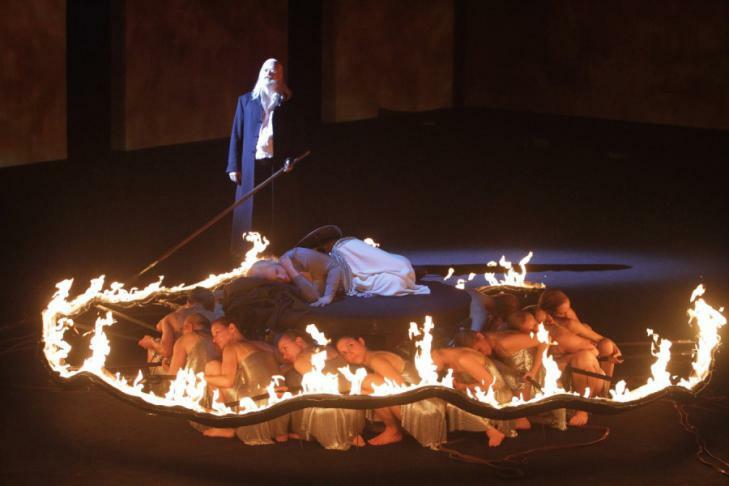 When Wotan encases Brünnhilde in a ring of fire, the Valkyries are glimpsed crouched in submission, in the flames. This creates a tension which reflects the tension throughout the Ring between rulers and the ruled, individuals and groups, and to Wagner's socio-political dynamic of power and powerlessness. . Alberich is an arch-capitalist browbeating the Nibelungs, but so is Wotan. Here we see his underlings hold papers on their backs for him to sign. Most bosses use desks. Wotan's desk is empty, which perhaps means something. For all his importance, Wotan's a shabby dealer who has cheated on his builders just as he cheats on his wife, Fricka (Ekatarina Gubanova). In the end, Brünnhilde restores to the Rhinemaidens the gold they lost because they didn't look after it properly. But along the way, a lot of people (and gods) get sacrificed. "Kinder, macht Neues!" in every sense. At a pinch, you could transpose Wotan and Alberich to Wagner, the flawed creator, and Cosima the obsessive non-creator. The magic of Wagner's Ring is that you can't separate music drama from conceptual,ideas, nor from life outside, in the world. Labels: O'Neill Simon, stagecraft, Stemme Nina, Wagner, Wagner Die Walküre. London Sinfonietta Landmarks Revisited ! Fifty years of the London Sinfonietta marked by a programme closely connected to the Sinfnietta's glory days - Xenakis, Birtwistle, Colin Matthews and Wolfgang Rihm. I was at the live concert last November at St John’s Smith Square, broadcast at last on BBC Radio 3 (available online, on demand for a month) . Here is what I wrote then. It's still valid ! it’s good to hear them presenting landmarks from their core repertoire. education, forcing orchestras to change their focus. But excellence "is"
pioneering roots and be proud of what they do. Harrison Birtwistle's Silbury Air ( 1977/2003) is a case in point. 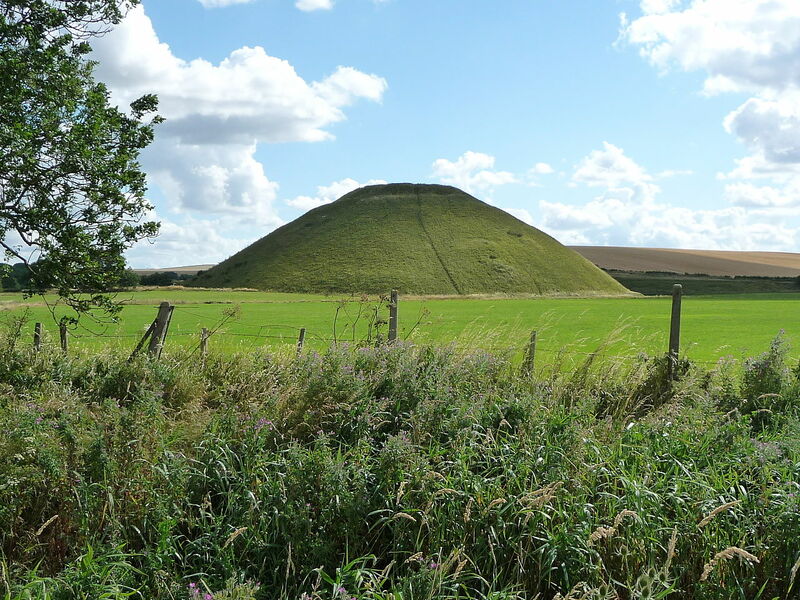 It's one of the great classics of the repertoire, inspired by Silbury Hill, a neolithic mound rising steeply above the flat plains of Wiltshire. 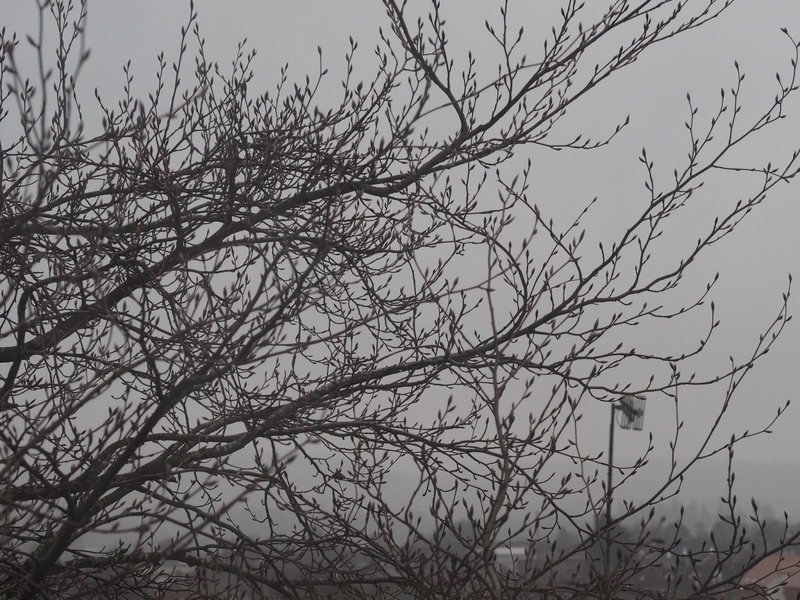 In foggy conditions, it looms above the mist as if it were a strange alien entity. It connects to other prehistoric land forms in the area, such as Avebury, Long Barrow and Stonehenge. Building these monuments may have taken millennia, constructed as they were without modern tools. Yet no-one knows who built them, or why. "Unfinished Business", mysteries we may never solve. Silbury Air is an evocation in musical form of many ideas Birtwistle has been developing over many years: layers of sound like geological strata, cells growing organically into denser blocks, always moving. Tiny percussive fragments (including harp and piano - Rolf Hind) grew into a long seamless drone, with oboe, B flat clarinet and trombone. Flurries of notes, building up patterns. Temple blocks and metallic brass : lines swaying in characteristic Birtwistle waywardness. Could we hear neolithic workmen hammering away ? And echoes of The Rite of Spring ? Textures thinned out : high strings and winds, surprisingly subdued, mysterious brass chords, percussion in various forms beating time. Ticking sounds, too - the passage of time - an elusive flute theme rising above. Single harp chords. Hard to tell when sound merged into silence, but that, I think, is the point. keyboard danced with drums and strings. Long wailing brass and single chord percussion. The "siren" opening returned, in new form, with a strong brass line. Xenakis creates shapes with sound, shapes so inventive that they could be depicted in visual form. proliferation. It's "contraflow" in the sense of two forces meeting and merging. Colin Matthews is a major figure in British new music and very much a part of the London Sinfonietta heritage. Since this concert was a sampler programme, we didn't get to hear the whole of Wolfgang Rihm's Chiffre-Zyklus (1982-6), which evolved from Chiffre I through a series of different instrumental groupings to form a traverse, though each section can be played individually. Here, though, we heard Chiffres II (of X) subtitled "Silence to be Beaten" (1983). From near silence, a strident chord which breaks into zig zags, movement further propelled by rushing rhythms, capricious figures for winds and brass, alternating by piano beating time like a metronome. Energetic blocks of sound which suddenly disappear into near-silence. High-pitched sound, interrupted by thwacks of timpani. Further near silence, rumbling percussion, tense single keys crackling across the keyboard. The climax builds up in waves of varied detail. A marching pace, led by brass calls. Gradually, the textures open out again: sighing winds, single notes on the piano, and silence returns. What a ride! young Claude - recognize the forehead? "The Young Debussy", Debussy's Première Suite d'Orchestre (1882-4) with François-Xavier Roth conducting the London Symphony Orchestra at the Barbican, London. An extremely thoughtful programme placing early Debussy in context, demonstrating his response to the influences around him . The modernist who was to write La Mer and Pelléas et Mélisande had deep roots in French tradition. Debussy began the Première Suite d'Orchestre while still a student, but it is a fairly substantial piece, which runs almost half an hour in performance, displaying great variety. A showcase for a young composer, displaying his skills, but also very original. Already, one can sense a creative personality. In 2012, Roth conducted Les Siècles in the premiere of the performance edition of the piece completed by Philippe Manoury. This LSO performance was its UK premiere, a different approach, but presented with equal flair and commitment. Debussy's Première Suite d'Orchestre evolves over four movements, Fête, Ballet, Rêve and Cortège et Bacchanale, each highly individual. Fête begins briskly, the animated pace giving way to a broader sweep in which other themes might be glimpsed, like a miniature overture, and concluded with affirmative punch. The brisk, confident strides moving on to different dance-like figures : a swaying theme for strings, a duet for high winds and low, an elegant ballet. With the LSO, Roth brought the "oriental" touches into sharper focus. These "voices from the East" are significant not simply as exotic decoration but because they serve to open up new horizons. Although Debussy didn't embrace outright orientalism, it informed his appreciation for new modes of thinking and expression. The richness in the orchestration - lovely parts for violin - suggest the young composer's growing self-confidence. While Ballet is the most striking section, Rêve contains hints of what was to come - interesting textures and details. It ends with a flourish, leading into the fanfare which introduces the final movement. Again, bright, clearly defined figures underlined by timpani, trumpets and trombones ablaze. Not a funeral march so much as valedictory procession, where pace is employed to shape structure, bounding forward to an affirmative conclusion. Framing Debussy's Première Suite were Édouard Lalo's Cello Concerto (1876) with Jules Massenet's Le Cid Suite (1885). Young Debussy preceded by a very young cellist, Edgar Moreau, born in 1994 but already with a good portfolio. Lalo's Cello Concerto gives the soloist such prominence that it's almost a cello piece with orchestral accompaniment, since the deep voice of a cello holds its own so well. A good sense of equipose : the balance between soloist and orchestra was carefully judged. Moreau's line is assured, unfazed by the large forces around him. Though the part is demanding, it's a concerto where the players are "in concert", respecting each other, almost a pas de deux. Indeed, it concludes like dance, for the allegro vivace resembles a Spanish dance, the soloist and orchestra in step together. More Spanish music in Massenet's suite from Le Cid (1885), with Massenet using imaginary Spain to add alien, exotic colour, as he did with Le roi de Lahore and Cléopâtre. Orientalism of different flavours paving the way for new musical expression. More dance, too. The seven movements of the Le Cid suite each describe different forms of Spanish dance, giving French opera audiences the dancing they cherished so much. But even without dancers to look at, dance is fundamental to the music, giving it pulse, agility and form. There's no way you can listen to music like this without connecting to its energetic spirit. Dance is a discipline where precision matters. Mess up the patterns and dance turns into brawl. In an orchestra, ensemble matters. Freedom of expression, yes, but not free for all. François-Xavier Roth, with his background in French baroque, understands the fundamentals of French style, and makes the connections between different periods. From Lully to Rameau, to Grand Opéra, to the Belle Époque to Debussy and to the modern world : different sounds, but similar prinicples. Roth and the LSO started the programme with Wagner, and the Overture to Tannhäuser. That, in its time, was revolutionary "modernism", Wagner purporting to wipe out French dominance with new Germanic ways. Nice performance, but in the context of French "modernism" of the same period, it didn't feel quite so innovative after all. The spirit of French style is dance, agility, precision, energy, inventiveness. Wagner, while well played, seemed almost pre-modern. Much more than "Debussy's Greatest Hits" but a series that puts Debussy into context in a thought -provoking manner, typical of Roth's intelligent musical flair. Tomorrow, 21st January, "The Young Debussy" with Debussy's Première Suite which he wrote while still a student. The piece exists in manuscript but was was only prepared for performance in 2012 when Philippe Manoury orchestrated the third movement, Rêve. Roth conducted the premiere with Les Siècles and made the so far only recording. The Première Suite unfolds in four movements, Fête, Ballet, Rêve and Cortège et Bacchanale. Though the piece is very early Debussy indeed (1882-4) there are passages which suggest how the composer was going to develop. It will be heard together with the overture to Wagner Tannhäuser, the suite of Massenet Le Cid and Lalo's Cello Concerto with Edgar Moreau, soloist. A big programme, but consider the connections and influences. On Thursday 25th January, four keynote pieces, Prélude à l’après-midi d’un faune, Fantasy for Piano and Orchestra (Cédric Tiberghien), Jeux and Three Nocturnes. More provocatively, on March 25th, “Debussy and Beyond" demonstrating the influence of Debussy on modern music. Boulez Livre pour cordes, Bartók Violin Concerto No 2 (Renaud Capuçon), Stravinsky Chant du Rossignol and a new work by Ewan Campbell. Last but certainly not least, not least, on Sunday 28th March, "Half Six Fix" a one hour concert starting 6.30pm - Debussy La Mer and Stravinsky Chant du Rossignol. Worth coming in to town for that alone and dinner later. Or, you could stay for the evening concert with the Britten Sinfonia and the Britten Sinfonia Voices, with Stravinsky, Gabrieli, Gesualdo, Mozart, Bruckner and Esa-Pekka Salonen's Concert etude for solo horn. Schubert's Winterreise is almost certainly the most performed Lieder cycle in the repertoire. Thousands of performances and hundreds of recordings ! But Mark Padmore and Kristian Bezuidenhout's recording for Harmonia Mundi is proof of concept that the better the music the more it lends itself to re-discovery and endless revelation. 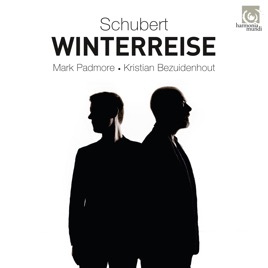 Padmore and Bezuidenhout present a very thoughtful Winterreise which, in its pristine lucidity, connects extraordinarily well to the spirit of the cycle. In a winter landscape, and in darkness, you may lose your path but snow reflects what light there is. Background sounds are muffled, but what you do hear is accentuated. You may be cut off from the world, but you are enclosed within yourself. Serious listeners know every note of Winterreise but rarely experience it like this. This is an unusual Winterreise but so perceptive that it enhances our appreciation of the most familiar of all song cycles. The pianoforte may come as a surprise to audience attuned to modern performance practice, but it's leaner timbre works well with Winterreise, and especially in the critically important final song, "Der Leiermann". The only real comparison is the iconic Christoph Prégardien's recording with Andreas Staier, released in 1997, still a classic. Winterreise devotees will need them both. Staier, one of the great fortepianists of our time, noted that, in Schubert's time, pianos were very different from modern concert grands. Staier and Prégardien performed a great deal of Schubert together, developing an approach more sympathetic to the intimate, personal Liederabend aesthetic. Schubert was himself a tenor, though of course the songs are performed in many different ways. The main thing is to be receptive to interpretation and non-dogmatic. Since the timbre of the pianoforte is more delicate, the voice part needs to connect. Like Prégardien, Padmore came from a choral background. The English tenor style favours purity and clarity, yet also lends itself well to a kind of rarefied spirituality. Not all English tenors are "English tenors"; it's a particular style. Like Ian Bostridge, Padmore can sing with an edge that intensifies darker undercurrents in meaning. In Winterreise, this is of the essence, for Winterreise is an inner psychological journey, expressed through stages describing physical landscape in almost allegorical terms. Even the destination remains a mystery. Thus the value of approaches which allude to levels in the music beyond text alone. Fortepiano gives the introductory bars a tremble which suggests the nature of the chill that is to descend. The lower notes stride with purposeful definition. Padmore's voice curves. "Fremd! ", he sings, rolling the "r" so it flies forth. The sharpness of his consonants in contrast with the ring of the vowels creates a tension which works well with meaning. The protagonist is entering unknown territory, suppressing his fears to journey on. For a moment, in "Der Lindenbaum", he can rest and reflect, and Padmore's voice grows more tender, and the fortepiano rocks gently. But falling asleep under the supposedly narcotic scent of linden blossom means death. In "Wasserflut", the vocal line rises and drops. Good phrasing , like "Fühlst du meine Tränen glühen, da ist meiner Liebsten Haus", Bezuidenhuit's fortepiano maintaining a steady pace. In "Irrlicht", the brightness of fortepiano and high tenor suggest the character of the will o' the wisp, flickering elusively, luring the unwary astray. In lines like "fühlst in der Still’ erst deinen Wurm, mit heißem Stich sich regen!" (in "Rast! "), the word "Wurm" here, feels satanic, diverting the protagonist from his mission. In "Der greise Kopf", Padmore sings the first lines with a lyricism that rings with flute-like grace, emphasizing the deathly near-whisper of "Doch bald ist er hinweggetaut". We are being prepared for the songs that follow, where the landscape becomes increasingly surreal, reflecting perhaps the psychic trauma the protagonist is facing. This is where the unique quality of the English tenor style pays off, its archness suggesting anguish. In "Die Krähe", a crow stalks the protagonist like a Doppelgänger : is it friend or foe ? In "Der stümische Morgen", Bezuidenhout's fortepiano growls ferociously, evoking the storm, both external and internal. Padmore's voice rises defiantly, but the protagonist is up against almost supernatural forces. Thus the turbulence in "Der Wegweiser" , pulling in different directions. Even the graveyard offers no solace. In "Mut! ", notice the way Padmore marks the tremble in the word "herunter", while Bezuidenhouit pounds as fiercely as a fortepiano can. Now the protagonist challenges God himself. "Will kein Gott auf Erden sein, sind wir selber Götter!" In early 19th century terms, this is almost blasphemy. He looks up and sees three suns, a natural phenomenom that exists in certain climatic conditions, but he thinks they resemble three staring eyes. Is the protagonist mad or visionary ? The hushed horror in Padmore's singing suggest both possibilities. And thus to "Der Leiermann" the climax of the whole journey. Bezuidenhout's fortepiano creates a sense of fragility, the notes sparkling the way light shines off heavy snow. Is this brightness an illusion, like the will o' the wisp ? A large, strong piano might suggest an element of hope, but a fortepiano emphasizes vulnerability. The colours in Padmore's voice turn pallid, his tone dropping as if he's watching a ghost. There are moments of light, where the voice rises like a flute, as opposed to the drone of a hurdy-gurdy. But note the steady deliberation, as if the protagonist was falling into step with the Leiermann's death march. The last word "dreh’n?" rings out like one last call into the void, and the fortepiano’s last notes shuffle, deflated. Padmore and Bezuidenhout don't present an ordinary Winterreise, and some won't get it because it is different. But it does offers good insights, even in a market teeming with excellent performances. One of Simon Rattle's great strengths is creating musically-intelligent programmes. 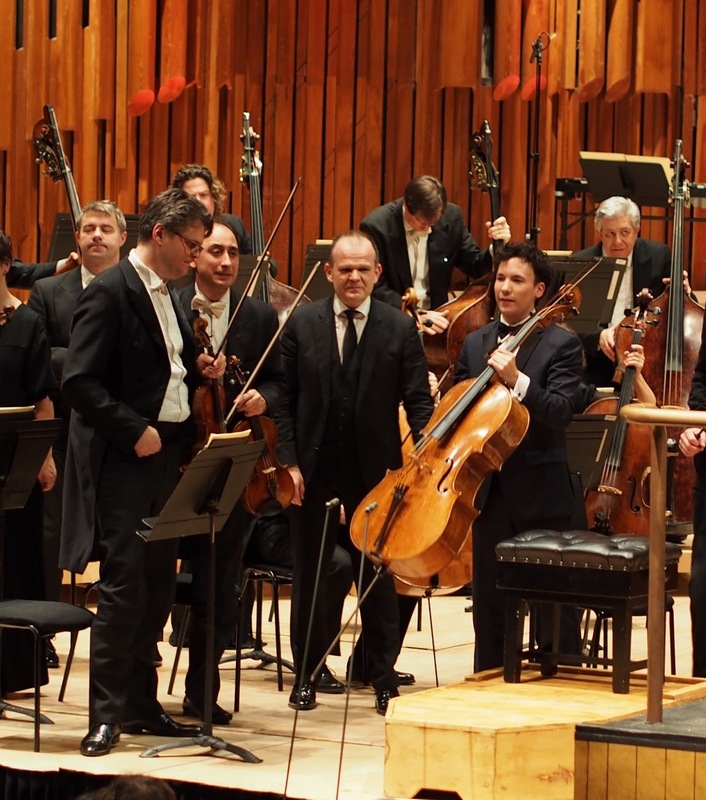 This latest, with the London Symphony Orchestra at the Barbican, brought together the final works of four 20th Century Masters - Janáček, Carter, Berg and Bartók. A few years ago, he conducted Schoenberg's Op 16, Webern's Op 6 and Berg's Op 6 together, showing the connection between Mahler and the Second Viennese School (horrible misleading term). Rattle's programmes are more than the sum of their parts: they make you think. They also de-mystify modern music which is important. Every era was/is modern in its own time, and 20th century music has been around longer than almost anyone alive. Music is constantly evolving and won't suddenly fossilize. Sadly, there still are folks who believe that suddenly, overnight, Schoenberg imposed dodecaphony on the world. Such folk often think that Berg's Violin Concerto is a throwback to some ill-defined notion of "romantic" music. That's musically illiterate nonsense on so many levels that it's shameful. Violins have an uncanny capacity to pull on the heart strings and the piece is very deeply felt. But it's still modern. Listeners who can't get past the "Memory of an Angel" starting point aren't paying attention. Berg was in the midst of writing Lulu, and was even personally more loyal to Schoenberg than most. The angel in question was Manon Gropius, whose family were very much in the centre of what was modern and up to date. And, like so much else in Berg, there are cryptic hidden messages, with darker, non-angelic subtexts. Isabelle Faust has played Berg's Violin Concerto so many times that it's almost her signature piece. Her approach is dignified, with the depth that comes with emotional maturity. Genuine, sincere feeling, not the cheap sentimentality that sometimes surrounds reception. Faust's playing has gravity, its poise informed by restraint, creating a tension which gets far closer to the soul of the piece. The timbres are occluded, as if in shadow, textures disintegrating gently, as reality fades to memory. Tonality hovers on the point of breaking and then dissolves, when no more can be said. The quote "Es ist genug", is a reference to Bach. No more can be said. Berg, even at his most passionate, uses structure with the clarity of a mathematical mind. Puzzles and patterns are integral. Faust's playing is extraordinarily beautiful because she understands the possibilities of expression that come by extending the borders of form. Rattle prepared us for the modernity of Berg's Violin Concerto by prefacing it with the Overture from Janáček's From the House of the Dead and Elliott Carter's Instances. Carter's Instances was completed in 2012, premiered in Britain by Oliver Knussen. It was Carter's last work, written at the age of 103, ad probably wins the prize for "world's oldest composer composition". But how lively it is, and how inventive. Carter's "Late, late style", as he called it is freewheeling. At his age, he said, he didn't need to prove anything to anyone. For pragmatic reasons his late works are short and epigrammatic but no less inventive for that. In Instances, one can almost hear Carter grinning. Janáček's music, with its angular rhythms and quirky discords doesn't fit into neat little music history stereotypes. Janáček probably didn't know, or care, what was happening in France, Germany and Austria , but like his contemporaries in the 1920's, he was forging his own original and distinctive path. When Boulez began conducting Janáček some years back, there were howls of rage from some quarters. But Boulez loved the music for its own sake and he had, in fact, been studying Janáček since the early 1970's. Rattle forged his own career in modern music, bringing Szymanowski, for example, to public attention long before most anyone else. Szymanowski might seem "romantic" to some, but his intense chromaticism connects to Debussy and to Bartók. And so Rattle and the LSO concluded with Bartók's Concerto for Orchestra. In 1940, Bartók was in a new land, where he hadn't settled and became despondent. Once he began writing, though, his mood lifted as if rejuvenated. Although there are familiar "Hungarian" themes in the piece, it is not fundamentally nostalgic. Bartók was looking back on his past, well aware of what was happening in the Europe he'd left behind, and of the right wing extremism in Hungary, whose government aligned itself with Hitler. Rattle brought out the granite-like inner strength in the piece and the firm lines beneath the nostalgia. Perhaps Bartók was drawing on sources in his psyche that went much deeper than folkloric colour. The ethereal opening theme developed until it emerged with expansive confidence. The music seemed to oscillate, highlighting the more disturbing undercurrents in the work. Rattle negotiated the constant flux in the work, tempi spiriting along as if propelled by winds of change. Exclusive,first-person article on Galina Ustvolskaya on Andrew Morris's blog Devil's Trill. Please read it here - it's a significant addition to what we know of the reticent Galina Ustvolskaya and opens out new areas of research. Ustvolskaya is coming out from under the shadow of Shostakovich. Whatever the nature of their relationship, Ustvolskaya's music is utterly distinct from his, so original and so uncompromising that it's unlikley she'll ever be as popular as he is. But what amazing music she wrote ! Read HERE about her Symphony no 3 Jesus Messiah, save us ! from the Berlin Musikfest with Valéry Gergiev and the Münchner Philharmoniker. Whether or not Shostakovich compromised with the Stalinist regime, he managed to balance on the edge. Ustvolskaya wasn't sent to Siberia, but seems to have struggled on in a kind of external exile. Perhaps her reputation for being a recluse protected her - she's not unlike many mystic visionaries in Russian history. The integrity in her music comes from very deep sources, influenced by Slavic tradition, but also decidedly modern. Her association with Shostakovich is misleading, She's closer to Stravinsky and the "primitivism" of the Rite of Spring, and to the brief explosion of modernity which flourished in the early years after the Revolution, and produced works like Alexander Mosolov's The Iron Foundry (1925-6) Ustvolskaya's music even connects to the fierce awkwardness of Janáček's Glagolitic Mass, and indeed to Messiaen's ground-breaking masterpieces like Et exspecto resurrectionem mortuorum. Follow this link HERE to a discussion of Ustvolskaya, her place in Soviet music and her relation to Shostakovich. Also, this excellent documentary, made when Ustvolskya was, at last, being valued for her own sake. She was nearly 90 when the film was made but her mind is sharp. She knows who Reinbert de Leeuw is and what he stands for. Perhaps someone should folow up on Sister Andre Dullaghan. For example - what was her order, and which convent did she live in ? Her manuscript and papers may remain in the convent library. Or the nuns might know what happened to her effects, and put researchers in touch with her family, or someone who might know. Two fascinating, independent women, who should be remembered. 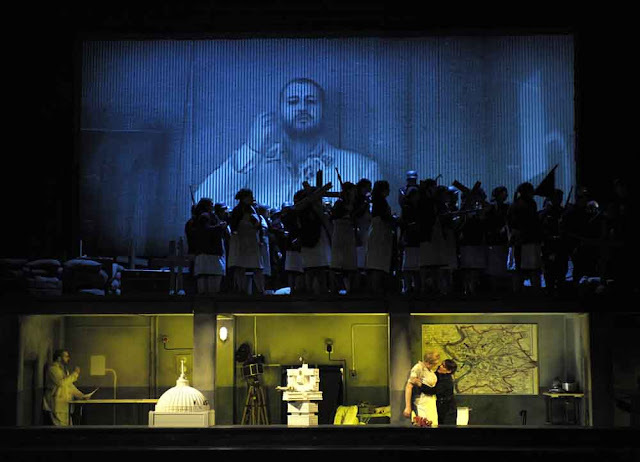 Jean-Jacques Rousseau's opera Le Devin du Village, (1753) at the Petit Théâtre de la Reine at Versailles last July, now available on Culturebox. Listening to opera audio-only is sterile and unnatural. For Rousseau and his contemporaries the idea that any one aspect of opera could be cut out of context was anathema. Opera was meant to be enjoyed as part of social life, which at Versailles meant the aesthetic of the surroundings. The film begins as the camera pans in on the palace and its vast formal gardens. Versailles was more than a royal residence; it was and is the symbol of audacious vision. The performance takes place in the theatre at le Petit Trianon, built for Marie Antoinette in 1780 where the opera was performed, capturing its intimate, elegant scale which is absolutely part of meaning. Like Versailles iitself, the opera encompasses in miniature the essence of the world beyond, Nature contained, distilled and civilized. Yet paradoxically it's also a reminder that Nature cannot be tamed. The palace is ringed by ancient forests in which the King would hunt. He hardly needed to catch his own dinner : hunting was a ritual monarchs enacted for fun and fresh air, but also to display their dominance. Though Marie Antoinette wasn't to know what was coming, we do, and that knowledge does affect our appreciation. It is also significant that Rousseau was a philosopher. Le Devin du Village is more than mindless entertainment in the modern sense. For audiences of the Age of Reason, art was inextricably part of wider human experience. Without ideas, no art ! While baroque operas can be enjoyed on a very basic level, they are almost always allegorical, with concealed sub texts. At le Petit Trianon, Marie Antoinette had a farm but no way was she going to muck in with the peasants. Imagined Nature served a purpose, presenting an ideal that was probably impossible to attain. The noble savages in Rameau's Les Indes galantes weren't carefree. Theatre is not naturalistic : it is artifice, not reality. We need to understand the real traditions of opera to detoxify modern notions of "tradition" based on movies and TV. 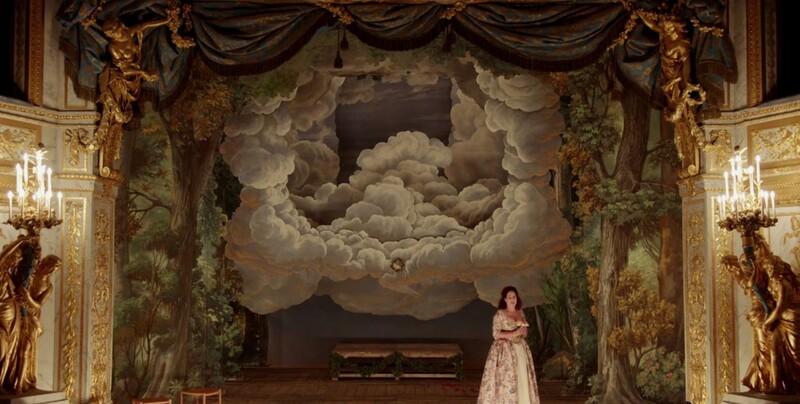 The photo above shows a cloud descending from the heavens bearing a crown which Colette accepts, as if such things happened every day : a device that would enrage "traditional" audiences today. The flats are clearly painted, the stage is empty apart from chairs for the singers to sit in when they're not in action. Gestures are stylized and the singers, dancers and musicians wear what was normal costume in court circles of the period. Dance is integral to the whole aesthetic. Like the gardens of Versailles, dance is a formalization of nature, movement organized into patterns. Baroque dance is structured, like athletics, employing the body into the whole concept. Thus the large ensemble when most of the cast is on stage, together, carefully choreographed and vocally balanced. Dance is pulse, and pulse the basis of music. Separate the two and lose the plot. It would be impossible and inadvisable to recreate the full baroque experience, but this production is a glimpse into what might have been. For the rest, we use our imaginations, based on what we've learned. Les Nouveaux Caractères are conducted by Sébastien d'Hérin. The dancers are Le Compagnie d'Eloquents, choreograped by Hubert Hazebrocq. Singers are Caroline Mutel (Colette), Cyrille Dubois (Colin), and Frédéric Caton (Le Devin). Historic staging by Jean-Paul Gousset. It would be impossible to recreate the full baroque experience, but in this staging we get a glimpse into what might have been, from which we can learn the foundations of French style. Please read Reconsidering Rousseau's Le devin du Village : an opera of surprising and valuable paradox by Edward Green (Ars lyrica, 2007) for a more detailed analysis of the score and ideas behind it. Note his final paragraph : "Without exception, every aria in this opera is cast in a dance rhythm. In and of itself, this is evidence of a profound attempt on Rousseau’s part to reconcile individual and collective feeling. An aria is an opportunity for the assertion of individual feeling, and yet community is always implied, since a steady dance beat always implies the need to coordinate community. Thus, with a lovely equipoise of individual and communal singing – Colette alternating with the community as a whole – and in an infectious, swinging 6/8 meter, Le devin du village ends with the call : Allons danser!" It's still winter and the skies are overcast. But look to the trees, where the buds are forming, which will soon unfurl as leaves. So to Winterlied, one of Mahler's Drei Lieder (Im Lenz, Winterlied and Maitanz im Grunen) from 27th February 1880. Winterlied is not a Wunderhorn song. Just as he was to do with Lieder eines fahrenden Gesellen, Mahler wrote the text himself and dedicated the song and its companion, Im Lenz, to Josephine Poisl, who lived in his hometown Iglau. He sent her flowers, but she wasn't too pleased. Soon after, she married another homeboy. 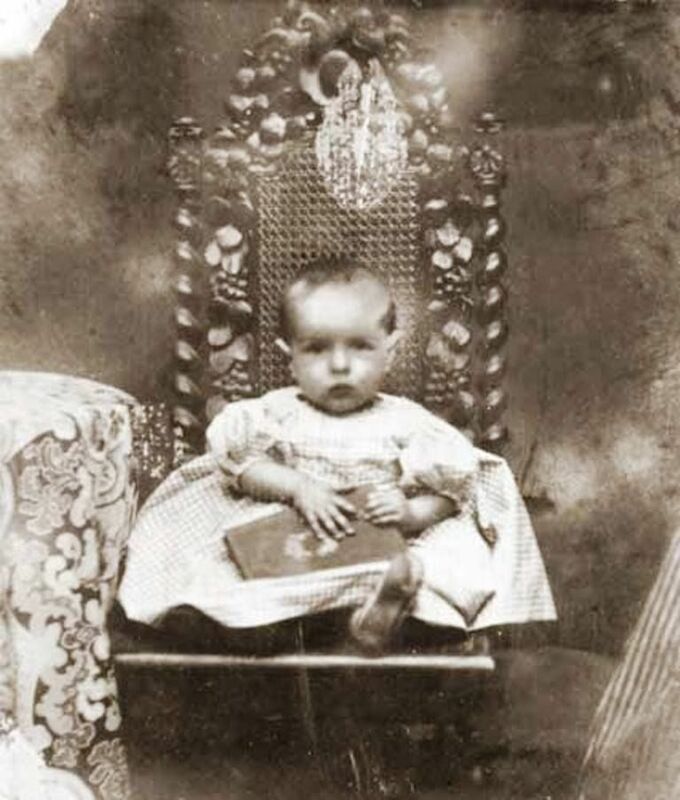 Mahler went on to Vienna, and to fame. Though the songs (unpublished in Mahler's lifetime) aren't very sophisticated, they aren't bad for someone so young. Besides, they were written at the same time as Mahler's first truly significant work, Das klagende Lied. Wie bist du so weit! It takes courage to pair Sibelius Luonnotar and Aare Merikanto's Ekho, as Sakari Oramo did with the BBC SO at the Barbican on 7/1/18. Both pieces present fearsome technical challenges but Oramo and the BBCSO had a secret weapon in Anu Komsi, who can handle extremes of range and timbre, while also infusing her singing with warmth and meaning. Though Komsi sings with such assurance that she made the pieces flow with natural grace, they aren't at all easy; she's been singing them for a long time. Experience shows ! This performance of Merikanto's Ekho was wonderful, much better than Komsi's recording with Petri Sakari and the Turku Philharmonic. The BBCSO are a much more sophisticated orchestra, with a richer sound. And of course Sakari Oramo knows the singer and orchestra pretty well. Since I've written about Luonnotar so many times over the years (Please read HERE) this is a good time to think about Ekho. After swimming in primeval oceans for 700 years (think amniotic fluid) Luonnotar called out, in agony to the god Ukko, who answered by sending a bird whose egg Luonnotar nurtured, from which the universe was born. Ekho was a nymph, blessed with beauty of form and of voice. But when she called out to Narcissus, he didn't care about anything but himself. Although Merikanto's music seems lush - lots of glossy strings - it is also very much of its time. Writing in 1922, Merikanto was well aware of the trends in European music around him. Ekho doesn't even pretend to be folkloric - it’s "modern" music, almost neo-classical, reflecting the clear sighted vision of a new world emerging from war. Think of the clean lines of 1920's visual arts, and the gracious stylization of form that engendered. The poem by Viekko Antero Koskenniemi (1885-1962) comes from the collection Elegioja. In that context, Ekho is almost a New Woman, talented and emancipated Lots of those in the 1920's, in Finland and everywhere else. Like many smart women, Ekho thinks she can reach out. But men like Narcissus could not care less. The sound of hunting horns and ominous rumblings - Ekho is a nymph of the forest, but what,is her mission ? Suddenly the line leaps upward "Narkissos, Narkissos — hu-huu, hu-huu! " Almost a war cry. The orchestra rears up. Turbulence, then clearing away to quieter sounds, a pattern of call and non-response that repeats in different forms. Ekho calls again: "Narkissos, ma huudan, hu-huu, hu-huu! ", the last word projected into the voice. Ekho is listening, but Narcissus isn't. Summer's ending (ie the end of fertility). Komsi's voice lowers seductively , halo'd by strings, harp and melancholy violin, then rises again in a long, soaring arc. Near silence - you count the bars, listening and gradually, sounds return, shimmering like sound waves. "Se mun kuoltuanikin soi ja soi" (It's my ringing and playing). Liike an echo, the first line repeats, in muted form. "Koko yön minä yksin tanssinut oon ja kutsunut armasta karkeloon" (all night, I danced alone). Dark sustained chords breaks. Then silence. Sibelius Luonnotar is grander, and more dramatic. Merikanto's Ekho is compact, but just as tightly structured and haunting. I don't know who created the image above, but it's brilliant ! We do live in an age where reality doesn't penetrate the minds of folks like Narcissus. How is it that conductors who are safe hands on the podium (not necessarily a compliment) aren't necessarily safe hands off it ? 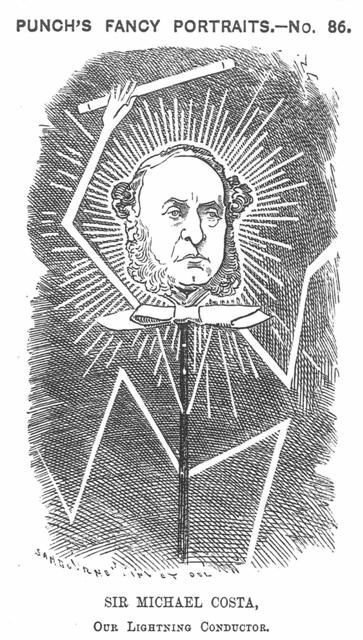 The picture shows Michael Costa (1808-1888). It's just a nice pic. No implication that he was "handy" or that his stick technique was a little too grabby. Esa-Pekka Salonen, composer, the subject of the Total Immersion Day at the Barbican, London, in December,which came at a busy time before Christmas, and coincided with Suomi 100 celebrations. Too muchn to take in all at once. Fortunately the Salonen concerts are now on BBC Radio 3 (link here). A great opportunity to hear Salonen's Wing to Wing (2004) again with Anu and Piia Komsi, for whom the work was conceived. The Komsi sisters are almost mirror images of each other: both are coloraturas of unusually wide range and vocal agility. They have an instinctive closeness to each other which other pairs of singers can't quite equal. Symmetry is part of the concept of Wing to Wing, so the Komsis can probably do it better than anyone else. I heard the UK premiere of the work at the Barbican in May 2006. Over the years, the Komsi sisters have done it so many times that they've grown into it as naturally as if they were part of the organism. "Wing to wing" is a sailing term which describes the way sails can be aligned to maximize wind flow. As the wind changes, the sails move. The interaction between the free flowing breeze and the flat surfaces of the sails controls the movement of the boat. The vessel is sailed by this interplay between nature and machine. Wing to Wing is an "architectural" piece because Salonen employs sound to create a structure within which natural forces can flow. Thus the flurrying lines which suggest the movement of wind, water and light, circulating through the structure, modifying, varying and constantly changing The architect Frank Gehry's disguised voice is embedded into the music, adapted so that it becomes part of the "building". 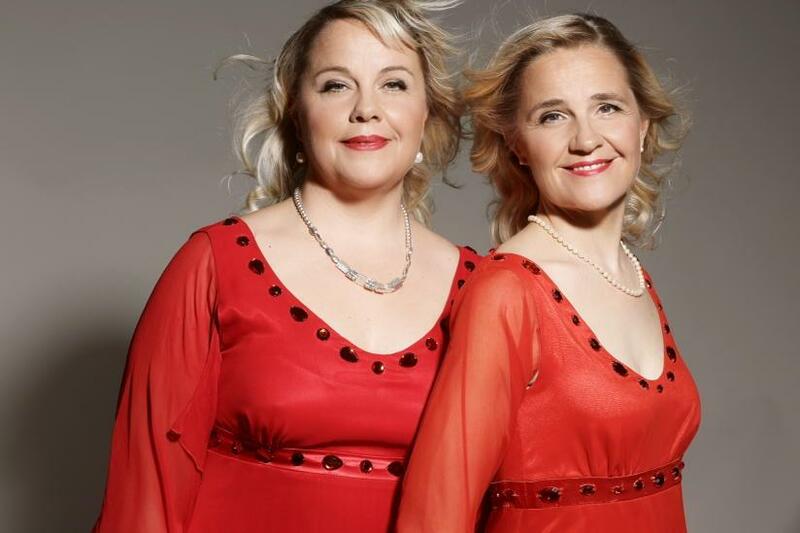 The Komsi sisters' voices soar and fly, suggesting the sound of seabirds flying in the open air, the percussion below them perhaps representing the urban landscape, often twining as if in spirals. Sometimes their lines are long and searching, as if probing the dimensions of space around them. And sometimes, the turbulence clears and stillness reigns, sparkling repeated notes against clean, clear woodwinds, before we descend into sonorous depths. Music as sculpture, almost as tactile as it is aural. I've heard Salonen conduct Wing to Wing and also Jukka-Pekka Saraste. Sakari Oramo is different to Salonen, but very good because he has an intuitive feeling for the inherent richness of the piece, and the BBCSO now seem to have it in their blood. More symmetry and spatial awareness in Salonen's Karawane (2013-14) where the BBC Symphony Chorus joined the BBC SO. Here the symmetry is processional : vaguely exotic timbres, suggesting a caravan weaving its way through some strange landscape. Steady rhythms give way to swirling chromatic textures. The voices sing rareified cadences that rise and fall, like the movement of caravans pulled by animals. Tempi pick up, and playful staccato patterns emerge - choppy vocal fragments against pounding brass. A violin materializes, playing a strange melody, like the song of a sad siren, lost in the desert. Textures thin out and the pure sound of a flute calls as if into the distance of the night. Rustling sounds, timpani thud ominously and the voices are strange low murmurs which lead to more frenzied passages where the voices shout "Way !". Ostinato exclamations in the orchestra, which build up in speed, like an engine jerking into action. Through these changes of pace and rhythm, Salonen progresses the piece so its component parts move as if in formation. A glorious ending, swaying and waving in wacky waywardness. Conceptually strong and a good piece, yet sparkling with wit and good humour. Nicholas Daniel was the soloist in Salonen's Mimo II (1992) where the oboe "sings" with the winds and brass in the orchestra while the strings swirl round them. Slightly reminiscent of a Stravinsky ballet though the whimsy in the oboe part is quite distinctively Salonen.